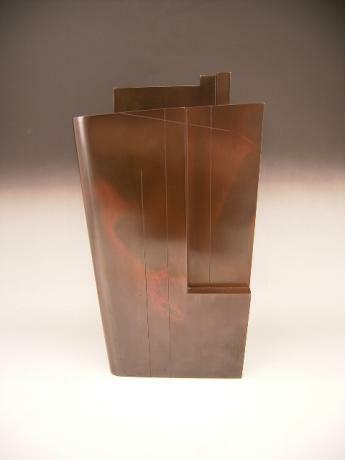 Japanese 20th century bronze vase by bronze artist ARISU BIZAN. The artist was born ARISU MITSUO in Showa 12(1937) and later took on the artist name BIZAN. Born in Takaoka City, Bizan is a member of the Japan Crafts Association. 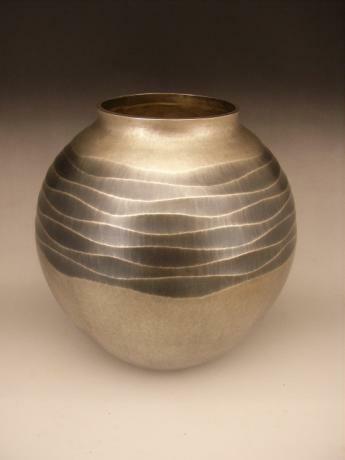 Since 1967, he has exhibited frequently at the association�s annual ..
Japanese 20th century bronze vase. Made by well known Japanese bronze artist, HASUDA SHUGORO (b. 1915 - ). Born in Kanazawa, Japan and graduate of prestigious Tokyo Arts College in 1938. HASUDA SHUGORO has been the recipient of numerous important awards in Japan for his work. 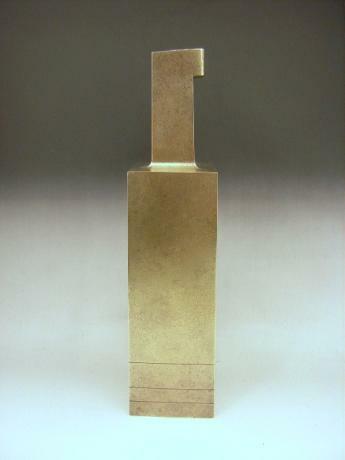 In 1991 he was awarde..
Japanese late 20th century bronze vase by bronze artist HONBO KEISEN. 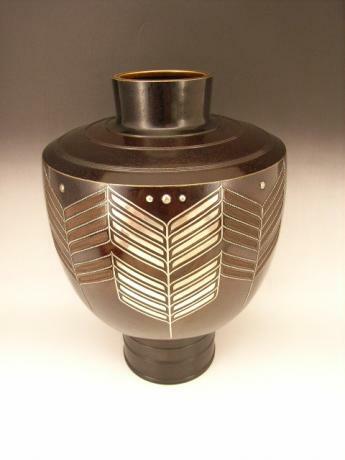 The dark brown bronze vase has the wonderful design of 3 large hawk feathers done in inlaid silver. 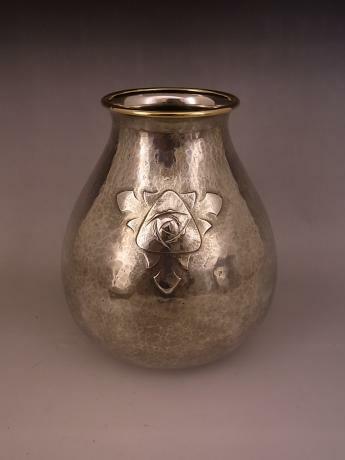 The vase has the stamp of the artist also done in inlaid silver. Stamped KEISEN. The artist was very active in the 1980's. 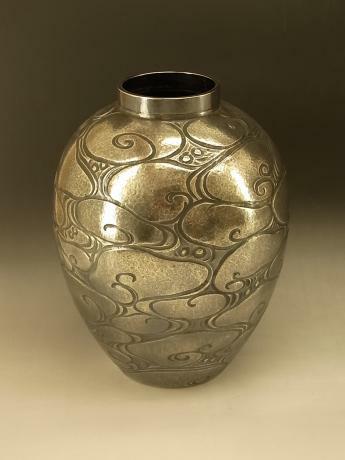 ..
Japanese mid 20th century iron vase with metal inlays by metal master UEDA TETSUZO (1917 - ). UEDA TETSUZO is a member of Nihon Kogei Kai, Japanese Traditional Crafts Association. 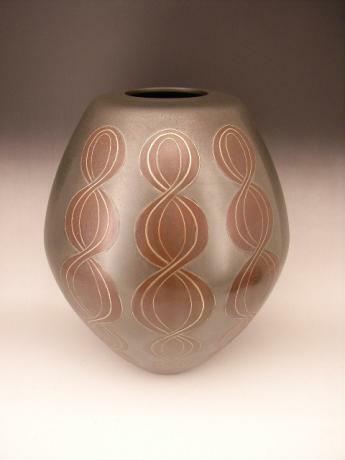 The vase measures approximately 12" tall and 4" in diameter. 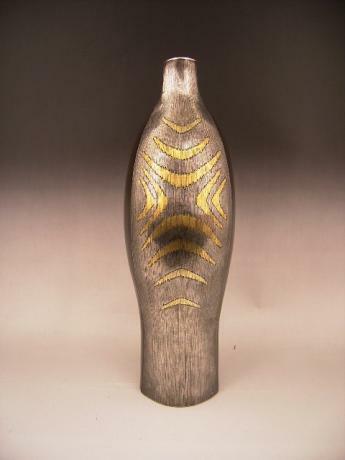 Comes with TOMOBAKO, or original artist signed wooden ..
Japanese bronze vase made by master bronze artist, HASUDA SHUGORO in 1987. He made this vase in a limited edition of 30 pieces to commemorate his appointment by the Japanese government as a Person of Cultural Merit. The vase is entitled GAI, or cliff. 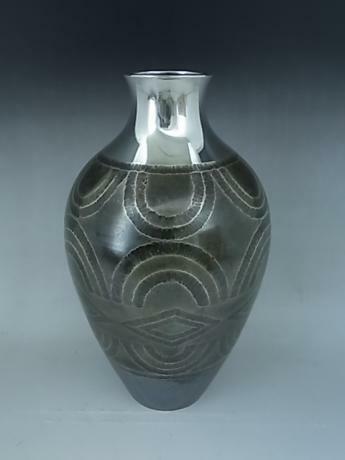 The vase comes with TOMOBAKO, or original w..
Japanese early to mid 20th century hand hammered silver vase. The top area has a wide band of wave forms done in a darker silver color. The vase is stamped JUNGIN, or pure silver on bottom The vase comes with original wooden storage box from MITSUKOSHI department store. Unsigned. The vase mea..
Japanese late 19th or early 20th century bronze vase by master bronze artist TAKAHASHI, RYOUN. 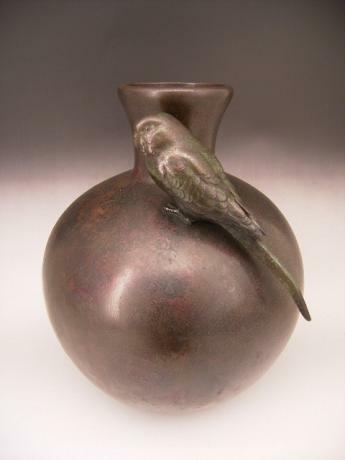 The vase has a single parakeet sitting on the side of the vase. Stamp of artist on bottom. Vase comes with TOMOBAKO, original wooden artist signed storage box. The vase is 11" tall and 8" in diameter..